Drove the car Saturday nite to pick up a pizza. Ran great. beat it as usual. Parked it overnight. Got up the next morning and fired it up ran a little rough for a couple of seconds then it ran a lot rough. Towed it to the shop, pulled the plugs and number 6 shot a geyser of coolant. 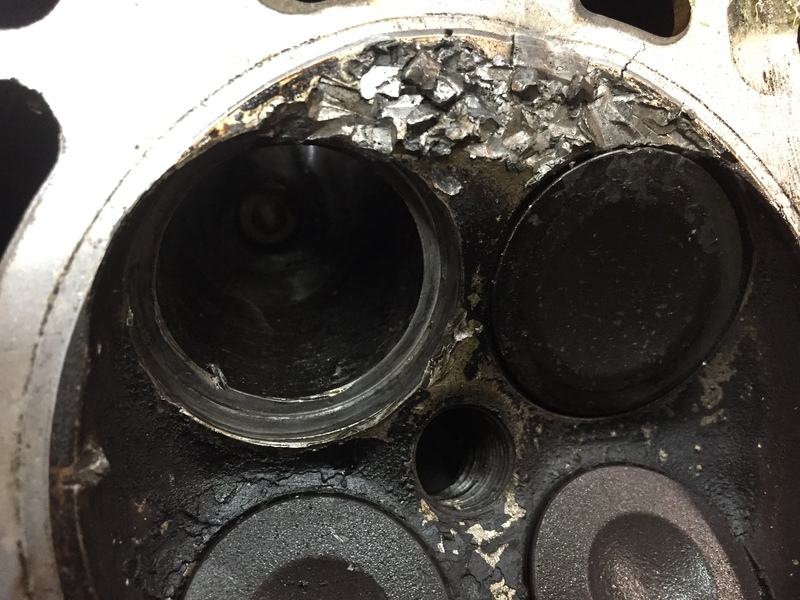 The #12 intake seat dropped out and the result was a wiped out chamber and piston. Bits of the seat smashed the quench area enough to deform and crack the head. I’m about 99 percent sure it was improper installation at this point. 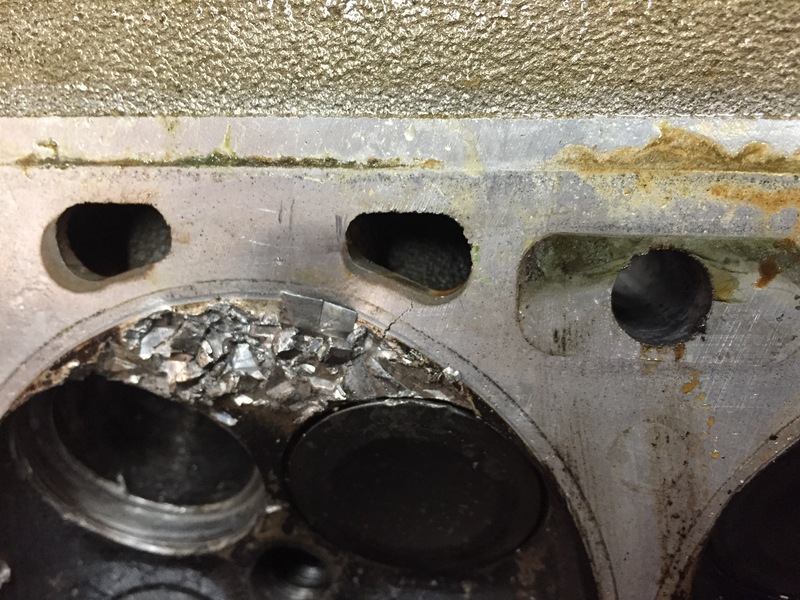 The seat bore is not cracked and I never overheated the motor. I was going to change it out at some point with a production head anyway but realistically with the current demand I have for heads it will be 6 months or more before I’ll be able to make it happen. I could repair it but since the motor is toast as well I’m better off concentrating on getting the heads into production.